Naomi Campbell Ditches Her Cell Phone for a New Weapon: Her Handbag! Looks like supermodel Naomi Campbell (and her super temper!) has a new weapon! The British beauty has been accused of attacking a photographer (and putting him in the hospital!) while on vacation in Italy with her billionaire beau Mikhail Prokhorov. The photog, Gaetano Di Giovanni, says Campbell scratched and bruised his face after she slapped him and hit him with her handbag. "First she hit with her bag, screaming at me and then she tried to slap me," he detailed to an Italian newspaper, "I managed to avoid her – but her nails still got my eye." "Media reports circulating that Naomi Campbell attacked a photographer in Lipari, Sicily are completely untrue," her rep said. "The photographer was seen following Naomi Campbell on a small boat, taking photographs, the day after the alleged incident." 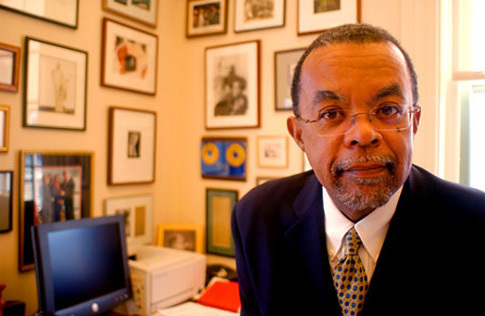 Last week, Henry Louis Gates Jr., the director of Harvard University's W.E.B. DuBois Institute for African and African American Research, was arrested by Cambridge police officers investigating a reported break-in. But the house he was accused of breaking into was his own. Today, New Yorker editor David Remnick has published an editorial on the arrest, calling foul play, echoing Gates' sentiments that no matter how accomplished, “This is what happens to black men in America.” "Gates was arrested for being black while at home," Remnick writes. The Washington Post also has an exclusive with Gates, where he says, "I studied the history of racism. I know every incident in the history of racism from slavery to Jim Crow segregation. I haven't even come close to being arrested. I would have said it was impossible." As previously reported, Chris Brown and Rihanna canceled their appearances at this year's Grammy Awards after being involved in a domestic violence battle with one another. While both stars have yet to go public with their legal drama, photos have surfaced on the web, showing the two together in Brown's rented Lamborghini minutes before the incident was reported to LAPD. But a source close to the couple has spoken out, identifying Rihanna as the victim (Brown surrendered to LAPD on Sunday and was released on $50K bail). "Chris knocked her around," the source tells People. "Black eye, blood, bruises. She had to be treated by a doctor." While Rihanna is cooperating with police in their investigation, the source says Rihanna is willing to forgive Brown (who is described as "low-key, easy-going and mild-mannered" by a former teacher). "I would be so sad if she went back to him," the source adds. Khloe Kardashian--sister of celebutante Kim and daughter of the late OJ Simpson attorney Robert--is heading to the county jail, according to the AP. After admitting that she violated her probation stemming from a 2007 DUI arrest, the wittiest Kardashian offspring was ordered to surrender to authorities to serve a handful of days in jail. "We are not jail freaks. We don't love handcuffs..."